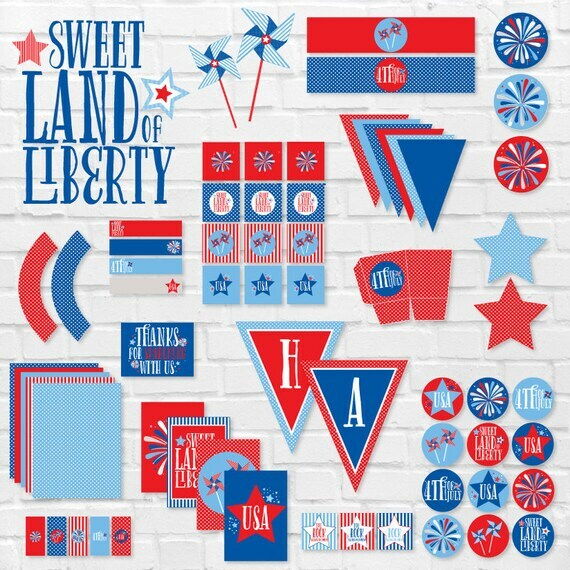 For those wanting to go all out celebrating an upcoming 4th of July party! This PRINTABLE (DIY) party can be printed at home or your local print shop. Print, cut and party! It's as easy as that!